Nominate a deserving family for the Best Seats in the House at the 2016 Canada Day Parade! The Drumheller DinoArts Association wants YOUR help in recognizing a deserving family this July 1st. 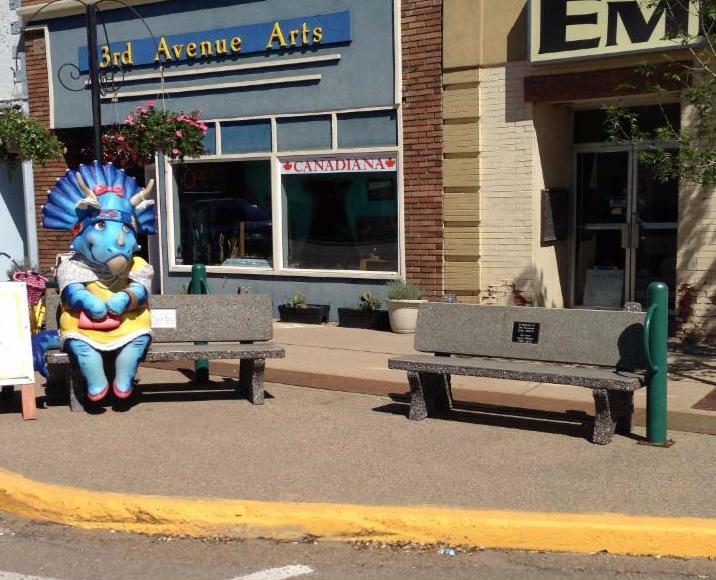 We've reserved a prime viewing spot to watch the Canada Day Parade, with our newest bench dinosaur in front of 3rd Avenue Arts. If you know of a family that deserves some recognition, or could use a little "special treatment", please nominate them and we'll choose one lucky family to have an extra special Canada Day. *Bonus: Our local A&W will be providing breakfast for the family, along with a $25.00 gift card. Thanks A&W! UPDATE: The votes are IN and congratulations to the Farmer family who will be getting the best seats 2016 prize this year!